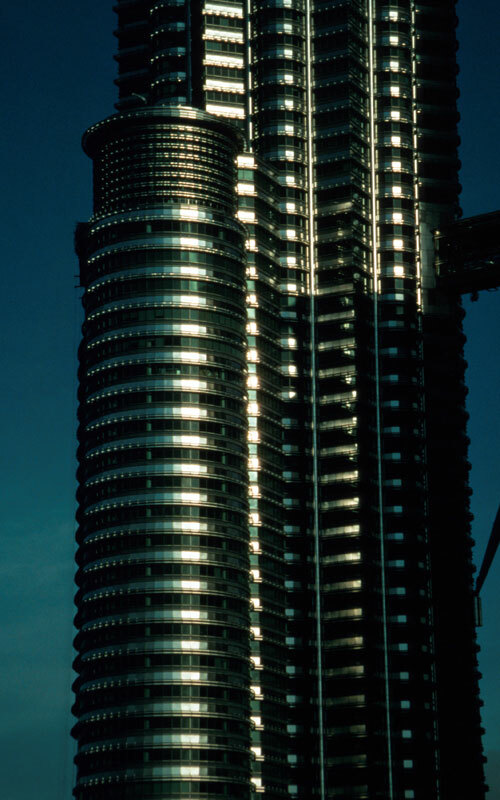 Petronas Office Towers, Kuala Lumpur, Malaysia. 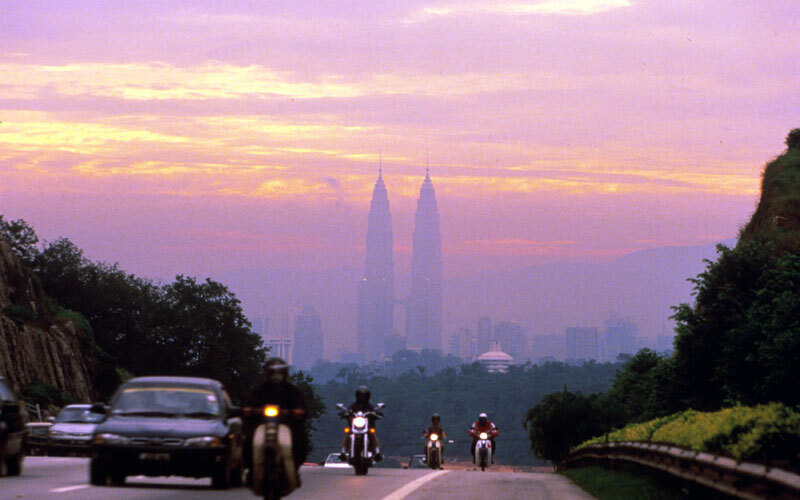 View from North Klang Valley freeway. 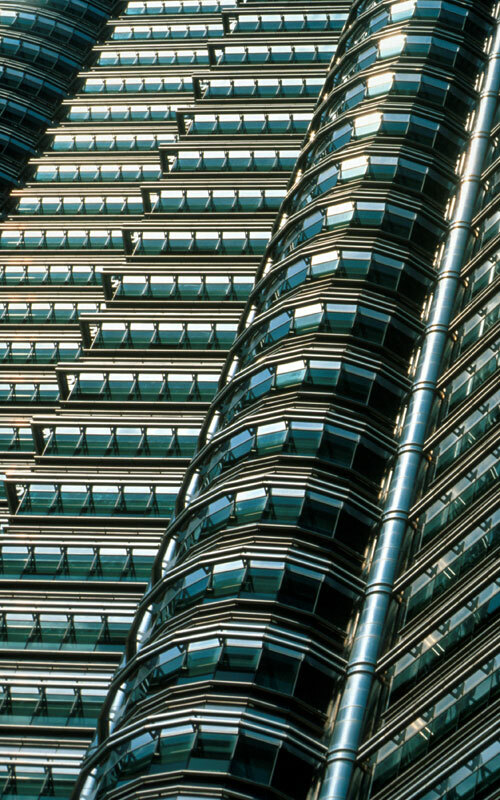 Petronas Office Towers, Kuala Lumpur, Malaysia. View down from Tower 2 ring ball. Petronas Office Towers, Kuala Lumpur, Malaysia. 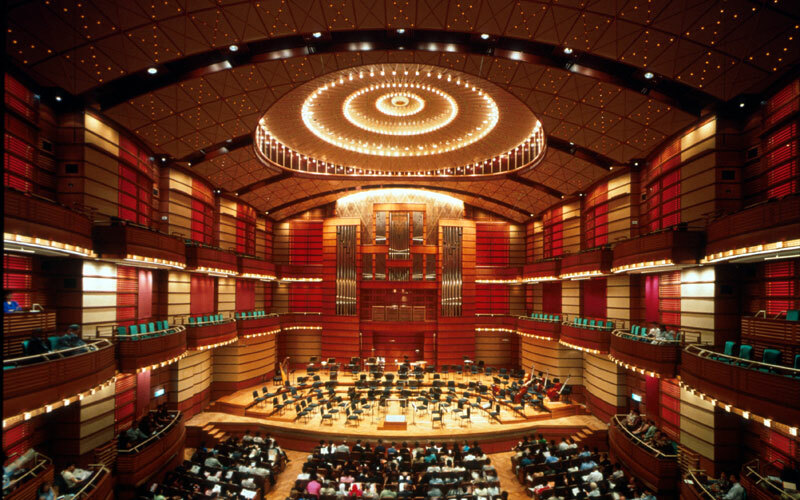 Concert hall, interior. 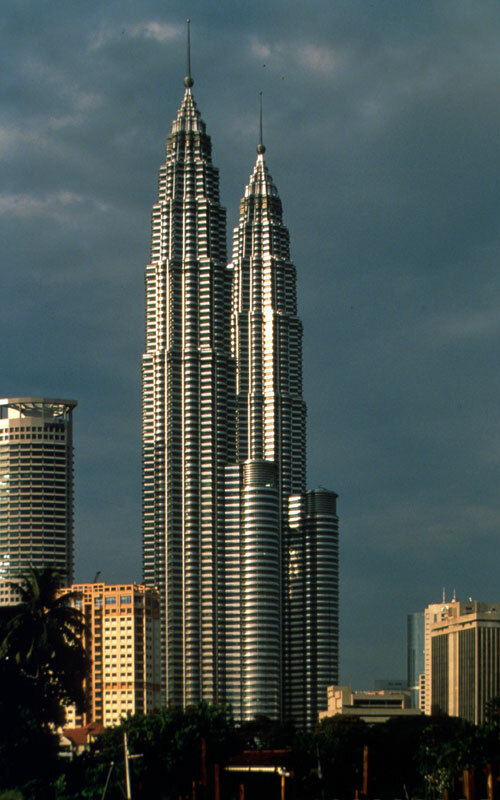 Petronas Office Towers, Kuala Lumpur, Malaysia. View looking East of tower pinnacles. 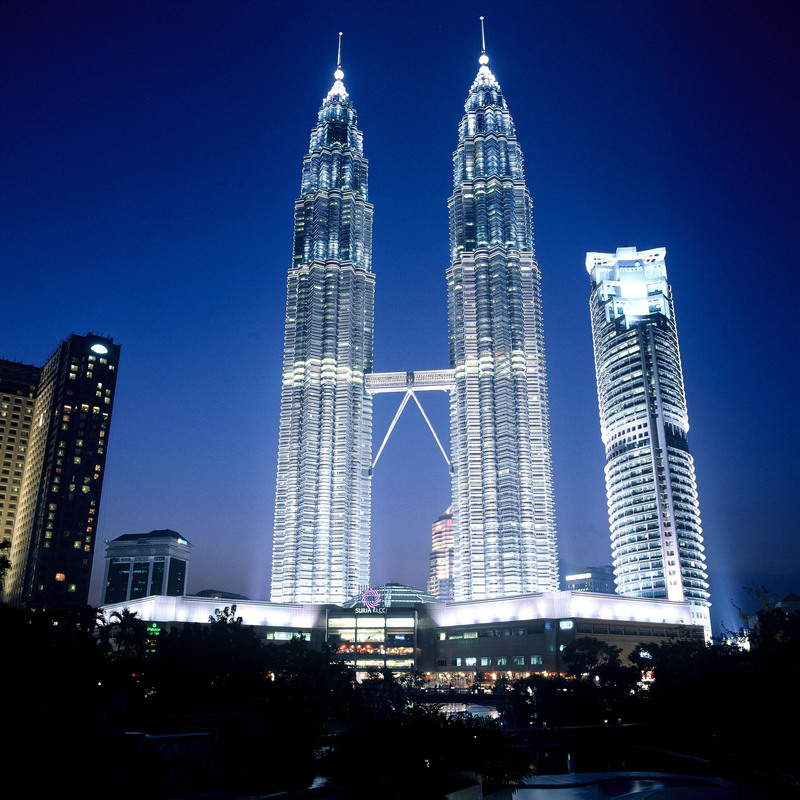 Petronas Office Towers, Kuala Lumpur, Malaysia. Dawn view. 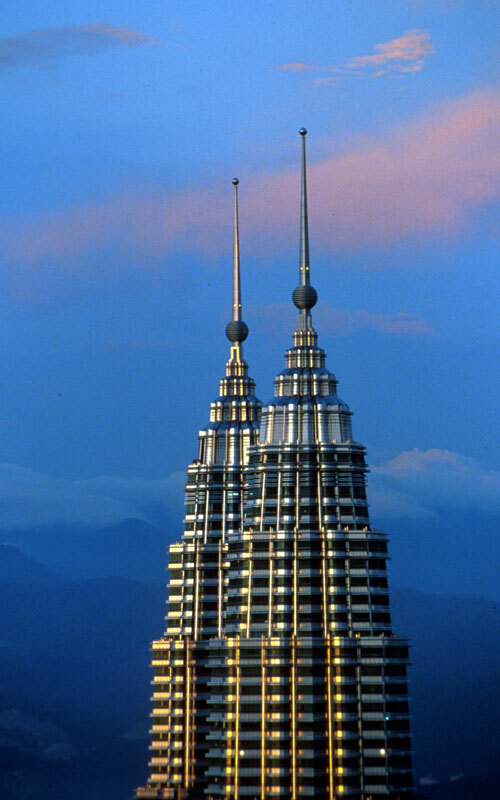 Petronas Office Towers, Kuala Lumpur, Malaysia. View from Northeast. Petronas Office Towers, Kuala Lumpur, Malaysia. 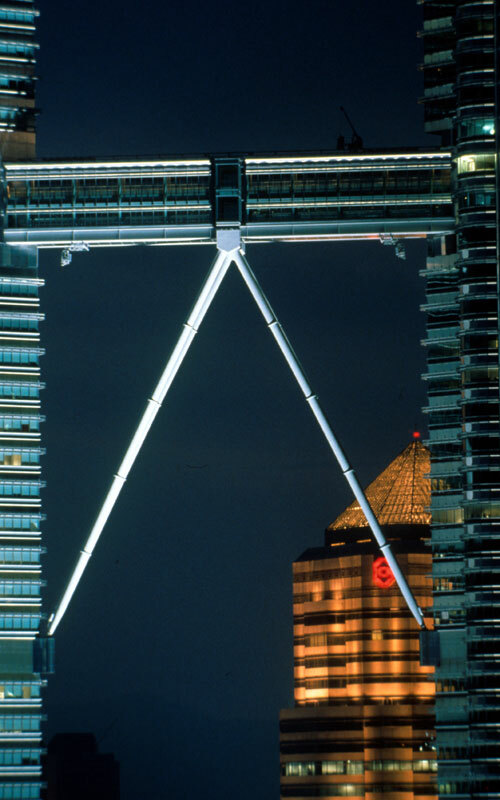 Sky bridge at night. Petronas Office Towers, Kuala Lumpur, Malaysia. Tower 2, bustle curtain-wall. Petronas Office Towers, Kuala Lumpur, Malaysia. Faceted curtain-wall. Petronas Office Towers, Kuala Lumpur, Malaysia. 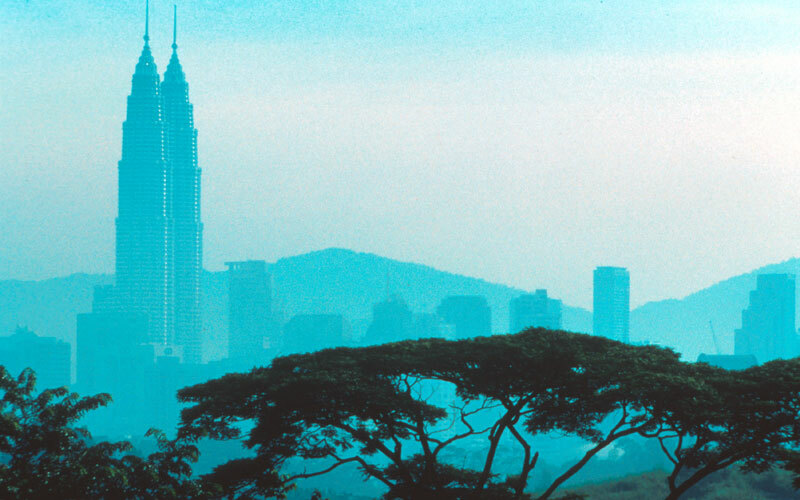 Kuala Lumpur City Centre Holdings Sdn Bhd. Twin 88-storey office towers built for a petroleum company and located in the Golden Triangle" commercial district. 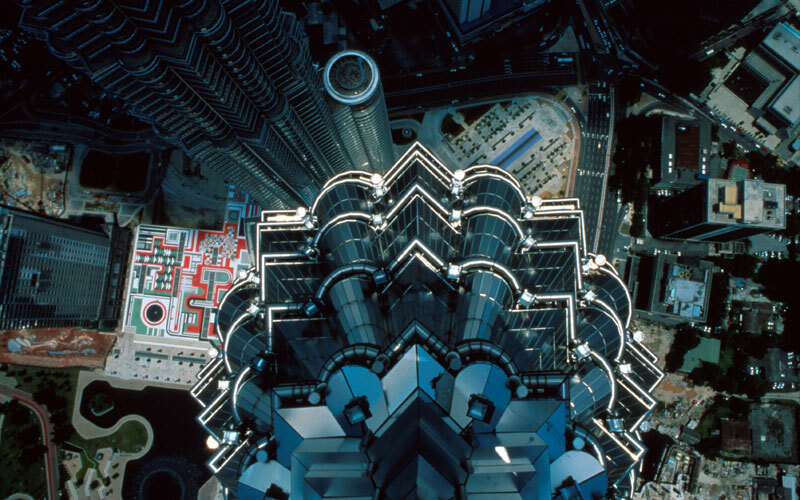 The project includes offices, a petroleum discovery centre, an art gallery, a 850-seat concert hall, a multi-media conference centre, underground parking for 7'000 cars, and a multi-storey shopping and entertainment gallery connecting the towers at their bases.